Skoda will soon reveal its entry-level in the international markets. 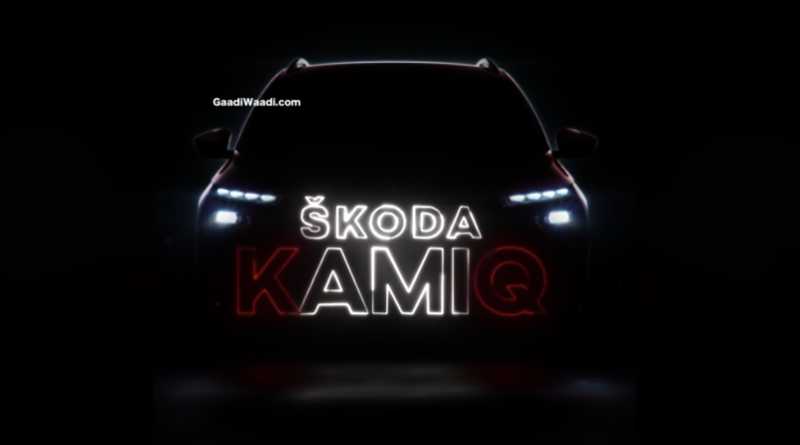 The all-new SUV is the smallest Skoda SUV and is called Kamiq. It will be positioned below the Skoda Karoq SUV. The Kamiq is expected to be launched in India after a few alterations. The all-new Skoda Kamiq will be revealed entirely at the Geneva Motor Show. Skoda earlier shared a glimpse of the exterior design of the Kamiq and has now released the interior design of the upcoming SUV completely. The interior image of the Skoda Kamiq reveals that the all-new vehicle will follow Skoda’s latest interior design. The layout of the dashboard is heavily inspired by the Skoda Scala sedan that was revealed last year. The Skoda Kamiq is expected to get a 9.1-inch touchscreen infotainment system with Android Auto, Apple CarPlay and MirrorLink connectivity. The dashboard is designed sleekly with angular air vents placed on it. The centre console remains neat and clean, and there are only two dials to control the AC unit of the vehicle. There are buttons to control the vehicle’s mechanicals placed behind the gearshift lever. The picture also shows the instrument cluster of the Kamiq. It gets a simple two-dial layout with a black background. The all-new Skoda Kamiq is based on the Skoda Vision X concept. The teaser image of the Kamiq’s front show the separate housings for the DRLs while the headlamps are placed below the DRLs. The all-new model is based on the Volkswagen Group’s MQB platform. For the Indian market, Skoda will bring in a version of the Kamiq, which will be based on the MQB-A0 platform. The low-cost platform will underpin many future vehicles in the Indian market in the coming times. However, there is no definite timeline on the Indian launch of the vehicle but by 2020 Skoda is expected to showcase the vehicle at the Auto Expo. It will take on the cars like Hyundai Creta, Nissan Kicks and the Tata Harrier in the Indian market.